The Eagles' new coaching search will begin immediately. Typically, when head coaches are fired from their jobs in the NFL, they are let go on "Black Monday," or the day after the Week 17 slate of Sunday games. In the Eagles' case, they announced the "release" of Chip Kelly on Tuesday night the week before the final game. 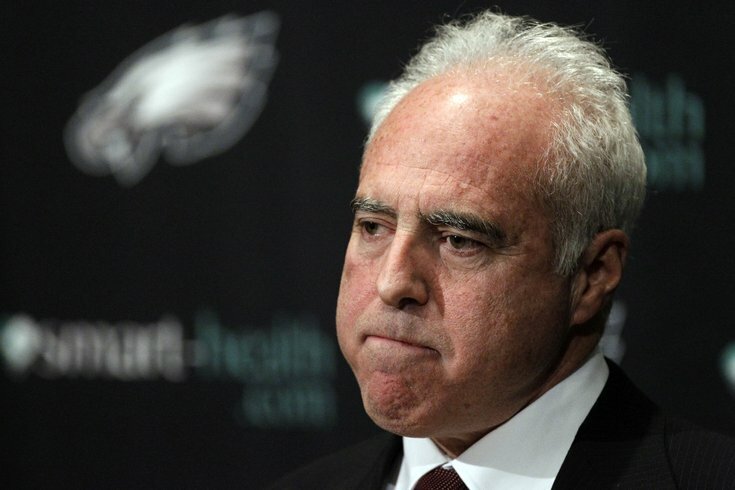 "One," explained Lurie, "I wanted to get a jump-start on our head coaching search, and I knew already what we were going to do. I thought having six extra days was pretty important. As you know, it's a chaotic, rushed schedule when you're looking for a head coach." "Secondly, I thought in fairness to Chip, it was a good way for him to also view the marketplace. to see what's possible in terms of employers." "Most importantly, however, was the opportunity to spend a lot of time with our players, and I've already started that process. I had a players only meeting with them today, this morning. There's going to be more this afternoon with certain players. I'm going to meet again with them on Monday. That was the defining decision in terms of when you make a decision on the Monday after the last regular season game or a playoff loss or something like that, the players go for some physicals and disperse. They're anxious to go home. In today's world, especially at least the way I like to run things, I want to hear form the players. I want to engage them and have them understand what they felt was lacking. I need to have them understand and take accountability, but also at the same time be a sponge for what leadership is like in today's football world."